For the last three years, Chicago’s population has been in decline, particularly among black residents. An analysis of newly released census data posits economic conditions likely played a role in that exodus. From 2012-16, roughly 1.13 million working-age residents left the region, including roughly 80,000 blacks, while about 750,000 moved into the region. Nearly 60 percent of the black residents who left the region did not have a job at the time, according to an analysis by the Chicago Metropolitan Agency for Planning. “As residents are able to find economic opportunities that provide pathways for upward mobility and stronger wages and household income, they’re more likely to stay in the region,” said Aseal Tineh, an associate policy analyst for CMAP who conducted the analysis. While the majority of black residents did not have a job when they moved, most whites, Asians and Hispanics did, according to the report. “That really suggests to us that economic conditions are more likely (factors) for black migration,” Tineh said. Josh McGhee, a journalist at the Chicago Reporter, which investigates issues of race and economic inequality, has just produced a documentary series about Chicago’s black flight. The five-part series “Exodus: Movement of the People” will air next week on WVON 1690-AM. Starting Monday, you can listen to the series each weekday at 7:50 a.m., 11:50 a.m., 4:50 p.m. and 7:50 p.m.
McGhee notes that it was the desire for more economic opportunity that first prompted many African-Americans to move from the south to northern cities like Chicago during the Great Migration – and now it is the lack of economic opportunity that is leading many to leave. But McGhee said that decisions emanating from City Hall may have prompted some of the departures. “You don’t necessarily expect someone from 18 to 22 to stay in Chicago but you are expecting families to stay – so what happens when you close 50 schools and our community is sort of ripped away? Maybe you just decide to cut your losses and leave,” he said. 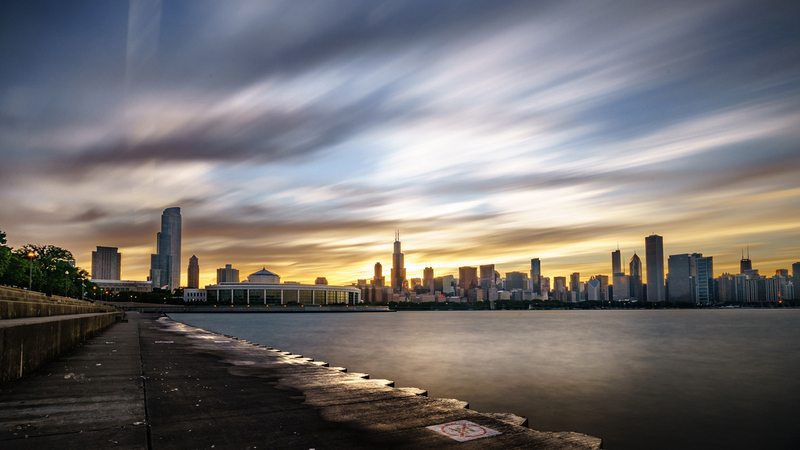 The newly released CMAP report analyzed the economic impact of the Great Recession, and revealed that Chicago-area residents experienced “significant losses” due to that downturn, particularly residents of color. While the report found increased diversity in the regional labor force, “black residents are underrepresented,” said Tineh. Last year, people of color represented 43.7 percent of the working-age population, but only 43.3 percent of the labor force. The mismatch was concentrated among black residents, according to the report. In 2017, black residents represented 16.5 percent of the working-age population, but only 15 percent of workers. By contrast, Hispanic and Asian residents’ shares of the labor force were equal to or above their shares of the population, according to the report. CMAP’s analysis shows that the unemployment rate has dropped from 9 percent to 7.6 percent from 2010 to 2017. Yet black residents are still much more likely to be unemployed than all other residents in the region, including other residents of color. In 2017, blacks had an unemployment rate of about 17 percent, while Hispanics had an unemployment rate of about 7 percent, according to the report. “Black residents are having a harder time finding jobs and their unemployment rates are much higher than any other demographic groups in the region,” Tineh said, adding the report illustrates the “stark disparities” between demographic groups. In order for the region to prosper, there needs to be inclusive growth, she says. “We need to pursue growth strategies for all of our residents. It’s really imperative for the regional economy,” Tineh said. As part of its On to 2050 report, CMAP identified inclusive growth as key to a stronger and more sustainable economic growth. To achieve this, the On to 2050 report recommended prioritizing pathways for upward economic mobility and investing in disadvantaged communities, among other things. “We went jobs for all our residents – not just work but careers,” said Tineh.